It’s spring and it’s time to jump-start those health and fitness goals that you claimed you were going to accomplish at some point this year! Check your vision board. How many of you stuck to your goals? New Year, new me right? Well, I had the opportunity to catch up with the guy who put the “R” in running. I’ve followed his running career and if he can’t get you back on your feet, I don’t know what to tell you. This guy has run countless races to include marathons, half marathons, 5ks, 10ks, you name it! He trained hard while balancing family and work which requires tenacity, motivation, patience, dedication, and willpower. It helps if you love to run! Like the old saying goes, you make time for what you want to make time for. Let’s jump into this interview where he has provided knowledge and tips for those of you who want to improve your overall health and fitness. But first, have you heard Drakes’ new single Nice for What? Have you seen the video? I am so ready for summer! Let’s talk fitness! Moetips: We met at a race in Frederick in 2014, I believe. You were running with the Black Men Run organization and I was running with the Black Girls Run organization. We took group photos after the race and I’ve seen you and the group at several races afterward. What motivated you to start running? Who inspires you? RO: The fear of being immobile in old age motivated me to start running. As I looked at older family members, I didn’t want that for myself. I get inspiration from everyone who runs. I love to see people reach their goals through discipline and training. It gives me hope that I can reach my goals as well. Moreover, I also receive inspiration from Black history. I enjoy researching Black history and designing customized singlets for special events. For example, at the NYC Marathon, I researched and designed a singlet that I dedicated to the residents of Seneca Village. Seneca Village was a 70% Black establishment that was located in what is now Central Park. It was unfairly and unjustly razed. Given that the NYC Marathon ends in Central Park, I felt it was the perfect tribute. Moetips: That is awesome! I’ve followed your running career and you have participated in several races in multiple states! Your race times have improved significantly! When do you find the time to train? Do you strength train to complement your running? If so, why is it important? RO: Most often I train in the early morning. This means disciplining yourself, completing tasks during the day and getting to bed for proper rest. I definitely strength train. Strength training improves endurance. Runners shouldn’t body build but rather seek to strengthen muscles that are used for running, especially the abdominal muscle! Moetips: Couldn’t agree more. Strength training also prevents injuries! One of your children is following in your footsteps. That must be exciting! Does she run with you sometimes? Was she inspired by you? RO: My oldest daughter is more of a sprinter. She doesn’t run with me but we’ve participated in a couple of one-mile races. She actually inspired me to run. I wanted her to always do her best on the track. I can’t ask her for her best if I am not giving mine. Moetips: Many people say that they don’t have time to train for races. How do you balance family time, work, and training? RO: One word: discipline. My family, work, and training are all important. I map out my day with time allotted for what I need to do and stick with it. Moetips: You’ve also lost weight since you’ve been running! Great job! What does your nutrition plan consist of? RO: I stay away from what I call the 4 deadly “Cs”: cookies, chips, cake and fried chicken. I mainly bake all my food. I drink reduced calorie juices and water. Stay away from excessive alcohol! Moreover, I read the food labels, and I stay away from high-fat items. Finally, I pay attention to the calorie amount of dishes served at restaurants. Moetips: Proper nutrition is definitely important for overall fitness. What advice would you offer a beginner who’s interested in training for a race? RO: I would advise a beginner to see their doctor first for a physical. If the green light is given to run, I would direct them to a running store to be properly fitted for shoes. Next, I would talk with them about their goals and expectations to make sure they are realistic. Unrealistic goals will lead to frustration and the person will stop running. I would advise them to connect with other runners as to not run by yourself all the time if you are just starting. I would advise them to seek information on proper apparel, hydration, and nutrition while running. Finally, I’d say go out and run and enjoy yourself! I thanked Reggie for taking the time out to address our community about the importance of health and fitness. Even if running isn’t your thing, find something to do and stay active out in these streets! You only have one life to live, so live it. 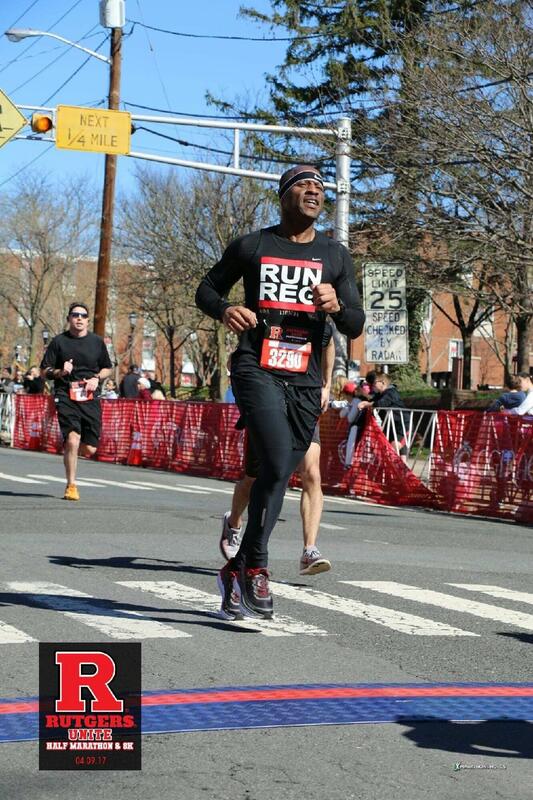 Follow Reggie on Instagram @runreg13. What are you going to do to improve your health today? Thanks D! He definitely dropped some jewels in this one! Awesome write up! I love the idea of the research Reggie does and the custom singlets he designs. What an awesome way to pay tribute to the places he races! Yes! He usually talks about history in posts . Paying homage! Thank you. Great post. The question and answer section was thoughtfully done. This is a great post. I’ve done two marathons and still play Basketball now. Not easy at all. But surprisingly peaceful. And great for fitness! Running is never been easy for me. I agreed with you, ‘discipline” is the key to keep it going. Hope I can do that as well. I believe you can. Find something that you enjoy! Great q/a portion. Iblove how he balances his life. We should all find the right balance for everything that we do. This is an inspiring post about getting fit and healthy by doing exercises. Thank Reggio and Moetips for these good sharing.. This is a great interview and liked how you answered. Just the push I needed to get back into my running routine! What I wouldn’t give to be able to run like this everyday. But slow and steady, hoping I’ll get to my fitness goals one day. This is quite inspiring, thank you. Thank you for sharing. Start slow and finish strong! I love running! This is the right article for me, thanks for sharing! 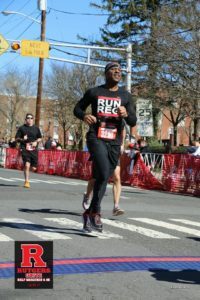 I love to run especially when I find myself in the zone. As you said I try to make time for running requires a lot of determination and motivation. I trick myself into consistency by signing up for races. I find this strategy very helpful. Yes it is the most helpful strategy! Thank you sharing! I would love to start running. I just have to get over my fear. I am interested in fitness a lot(sometimes in my head other times I actually do it); this article has given me motivation to keep working on my goals. Great tips on what to do. I also think the right shoes is critical when you are running. Thanks. Very critical! The right shoes help You avoid shin splints. Thank you for reading this! Do something that you enjoy! I have such a hard time running. I think it’s partially the discipline. I appreciate all the research and information that was behind his answers! This made me kinda wanna get into running. Great post, definitely. Running is probably my least favorite exercise just because I am not much of a cardio fan in general. I do some speed walking with my dog around the block and that’s about it. Nevertheless, I have a friend that’s a runner and I am going to pass the along to him. I run two miles a week. Great article. I have heard Drake’s song and I love the video all of that black girl magic . YESSS ! I admire anyone who has the discipline to stick with running furthermore to actually complete a 5 or 10 K run . I don’t think i personally would take up running but I do yoga and pilates . Trying slowly to get back into a proper exercise routine and to stay away from the cake. (in moderation ) I love anyone who encourages a healthy lifestyle . Life its elf takes discpline and reading about his habits really encourgaes you to keep going with whatever it is that you want to accomplish in life while trying to maintain balance . Yes! I live for that video ! Yoga and Pilates can be vigorous activity and strength training so you’re getting it in for sure. I encourage people to do what they love to stay active ! Thanks for sharing. Thanks for this! I am a terrible runner!! But you’re probably good at dancing, yoga, other fitness activities! Great article and so inspiring! It is so good to know more about people like Reggie. Thank you for sharing! That helps for sure! Thank you for feedback!